September 20, 2012 in "Dog Illustration", "London Fashion Week", "Peter Pilotto", "colour", "pugs"
Been trying to catch up with London Fashion Week. One designer who's colour palette caught my eye was that of Peter Pilotto. 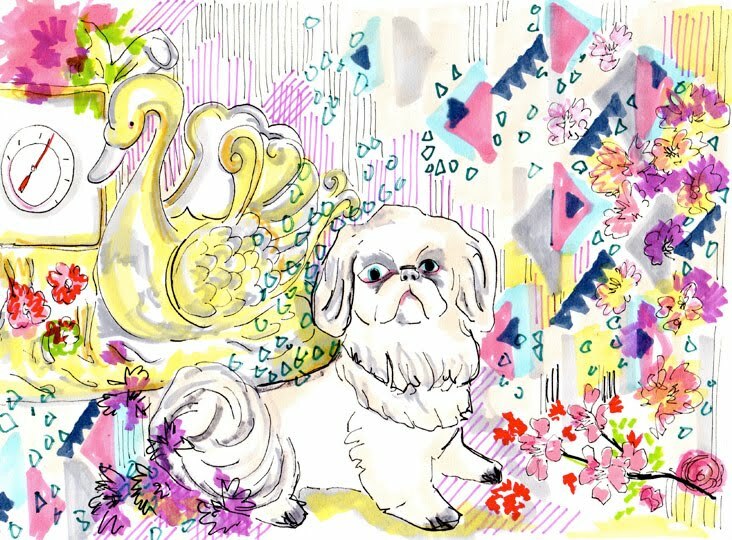 As a continuation from my Pug In Pucci illustration I thought I'd do one in Pilotto!